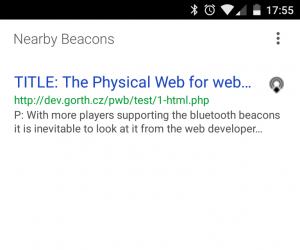 With more players supporting Eddystone bluetooth beacon technology it’s important to look at it from the web developer perspective. This article will reveal how it all works behind the scenes, show how to optimize a website for Physical Web beacons across different implementations, and discuss its caveats. First let’s dive into what actually happens when you try to configure a Physical Web beacon with your website URL. 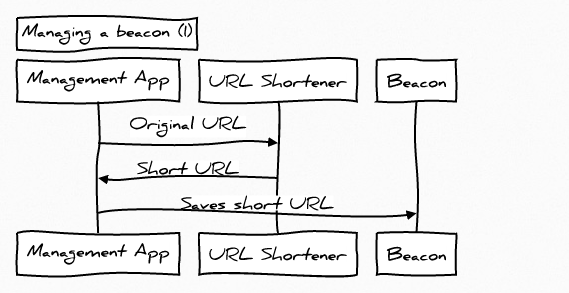 Before the URL address is saved into the beacon it is shortened by the management app to fit within the limited size of the low energy data packet. 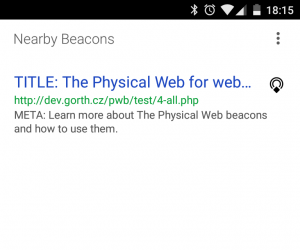 The advertisement part (31B) of the packet is used for the data and it consists of a namespace and an encoded URI (20B) – you can see the Eddystone-URL specification for more details. 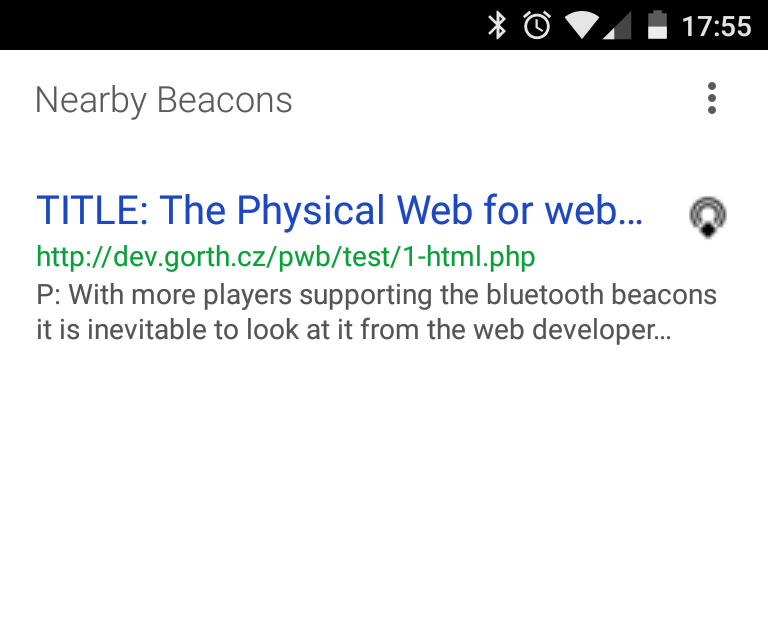 The beacon management app uses the shortened URL for the broadcasting, not the original URL. 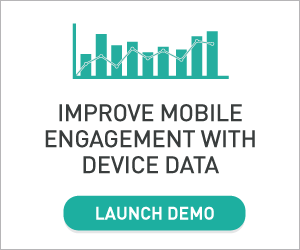 When a device (e.g. 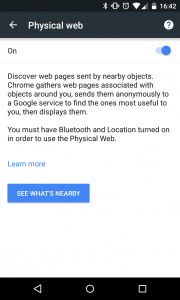 Google Chrome, Opera, The Physical Web app, etc.) 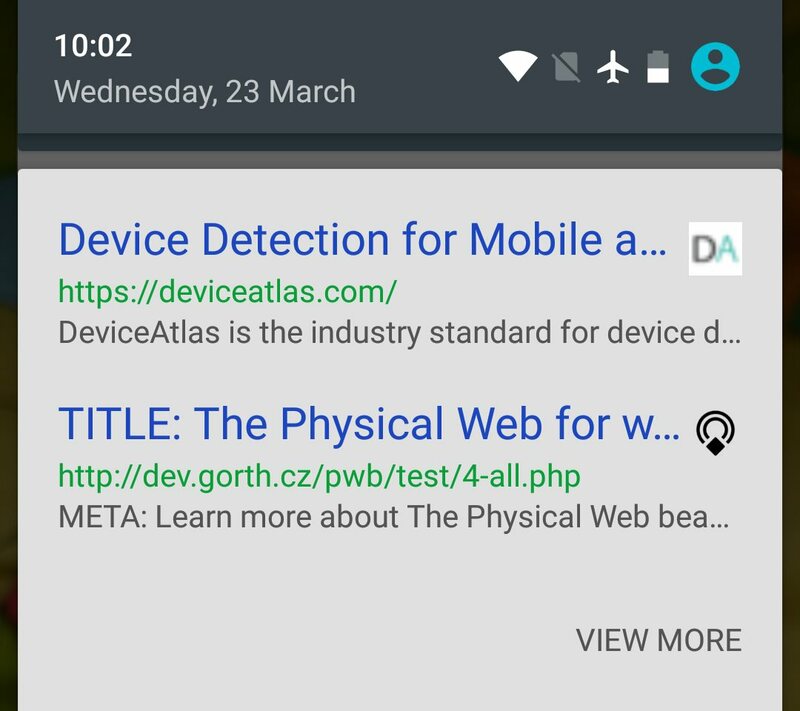 receives a shortened URL, it uses a resolver service to look-up meta information: real URL, website name, description and an icon. 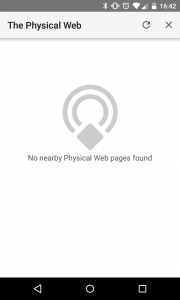 A browser/application does not connect to your website directly – unless user decides to follow a link you wouldn’t see any action. 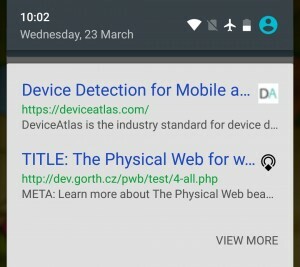 The Physical Web app uses its own implementation of URL shortener (GAE: s~url-caster), which internally uses Google URL shortener (goo.gl) and it is not possible to change it. Other management apps can use their own shorteners. 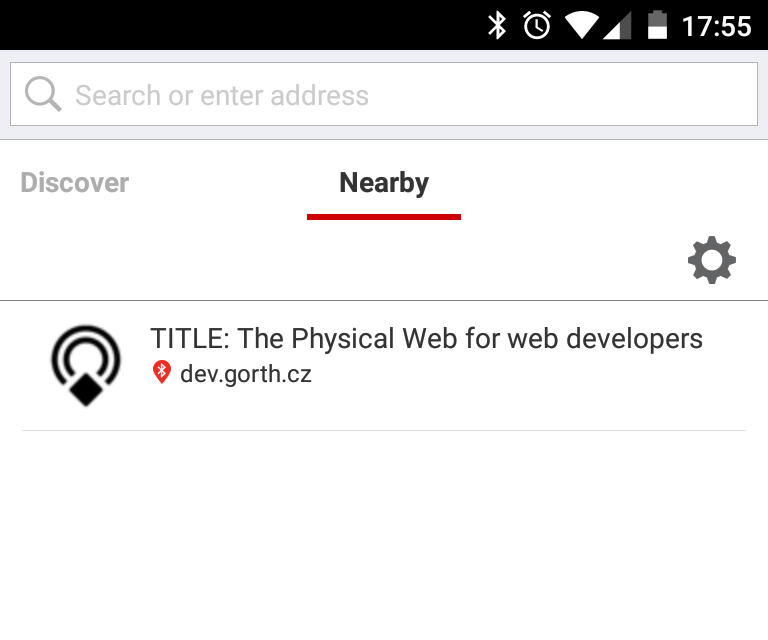 Opera offers a Python script for Linux to set the URL directly without using the app and thus gives better control of the broadcasted URL, and there are many more alternatives when you look up a “physical web” phrase in any app store (e.g. Google Play Store). 1. 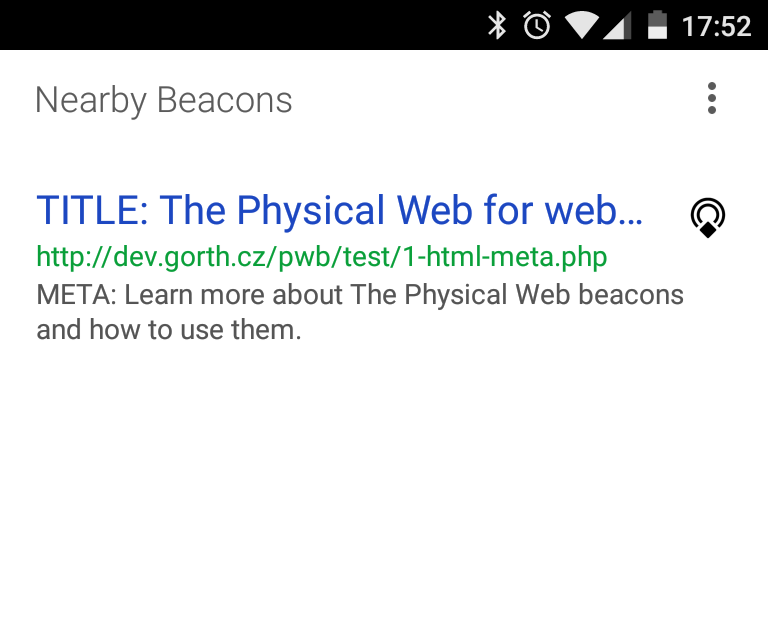 The beacon management app shortens the URL. 2. A device connects to the resolver to find real URL, website name and description and an icon. 3. 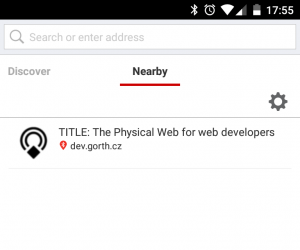 The resolver crawls your website and caches the details (including the icon image). It’s worth noting that these steps are not mandated. 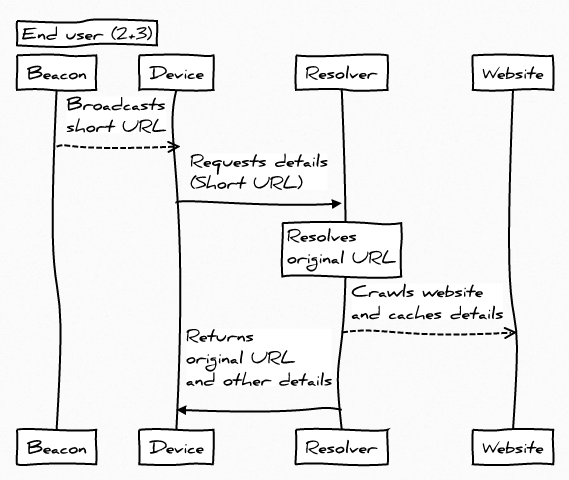 A different implementation of the client portion could choose to resolve the URL itself. A different implementation could also opt to get the website name and description directly by fetching the page or a manifest file. Privacy concerns might drive implementations to do things differently too. After you submit a URL the management app automatically shortens it to ensure the length is within the limits for broadcasting. 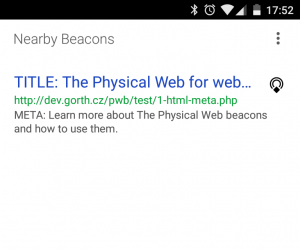 After the beacon “detection” app receives a URL from a beacon it tries to retrieve meta information via a resolver. The resolvers might vary (i.e. 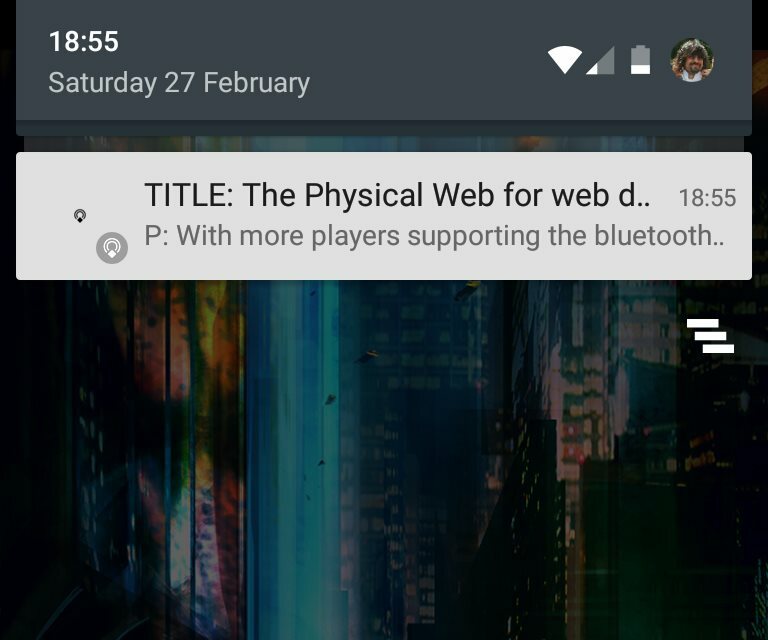 each app is using its own resolver: Google Chrome, Opera and The Physical Web app). 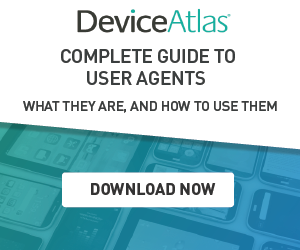 A resolver connects to your website to gather meta information for a device. All details are cached by the resolver. In this case a resolver and a shortener are the same. All implementations are using simple GET requests with a customized User-Agent strings and no other details. 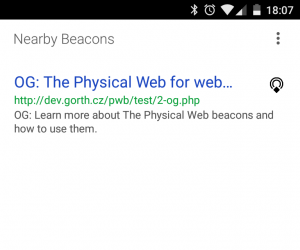 The only exception is the “develop” version of the Physical Web resolver which seems to forward approximate distance to the beacon as an additional HTTP header. 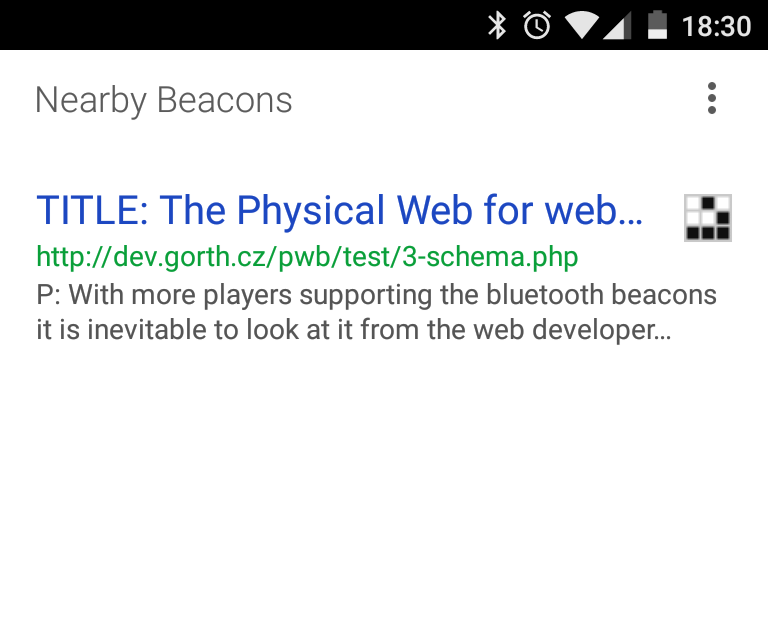 Now that we know what is going on behind the scenes, we can try to optimize a website so that the notification, which is made up of a title, description and icon, looks good once the beacon is detected. We will focus on the resolvers, and how they crawl your website and cache its details. To test the implementations I prepared four different page templates and some alterations of two of them. The first two links use a .ico favicon (48px), 3-5 use different formats to inform about icon/logo (with PNG file), and the last one uses a PNG image defined as favicon (96px). There is an extra favicon in the document root to see when a resolver fallbacks to the default icon. All templates, and some others, are available at: dev.gorth.cz/pwb/. The testing device was a Google Nexus 4. I was quite surprised at how big a difference it makes to use different favicon format. Clearly the PNG image is winner here. I didn’t test what is the minimal meaningful resolution, 96x96px seems to work quite nicely. In all cases the primary source for meta information is standard HTML tags. The only exception is the Open Graph tags but those are used only in the absence of META description and TITLE tags, which is an unlikely scenario. In absence of META description the app uses first paragraph as description. Ignoring Open Graph tags, apart from the image. In total absence of TITLE and META description we can finally see Open Graph. 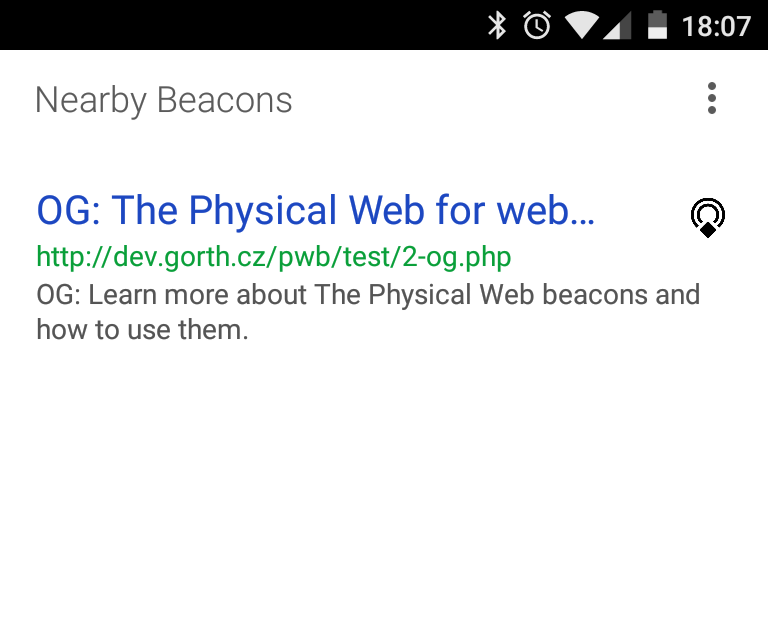 Opera published a very nice article about URL beacon detection where you can find many details, including the formats their crawler understands, Schema.org, Open Graph or pure HTML. The official recommendation is to use pure HTML. This sounds very strange considering the common practices. I quickly checked www.opera.com and even they are using Open Graph. 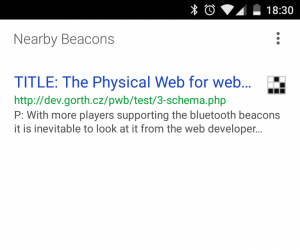 It is very unlikely people would remove microdata from their websites only because of the beacons. Opera is trying to support multiple formats but it’s not perfect either. Schema.org tags takes precedence over pure HTML, which takes precedence before Open Graph. Again, it’s unlikely webmasters would remove the META and TITLE tags to use the Open Graph option, or remove Schema.org microdata just to go with the official recommendation. Schema.org, JSON-LD is not supported at the moment. In the absence of META description does not use other context. 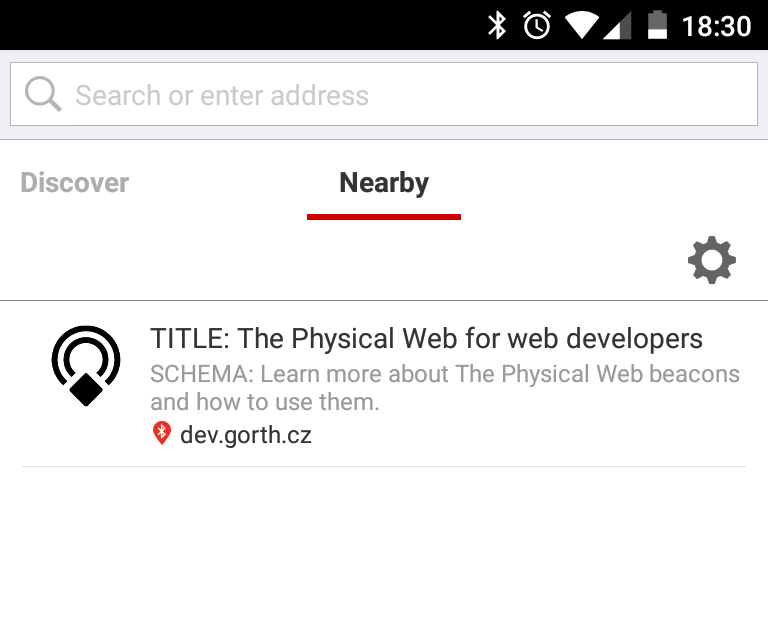 Schema.org takes priority but it is not following type definition, it simply checks for “title” & “description” regardless of a type. In this case Opera does not display Schema.org “name” (and fallbacks to TITLE html) even though it is valid for the WebSite type. If I used “title” instead, the code would not pass through Schema.org validator. 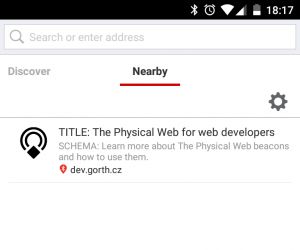 Schema.org takes priority before HTML & OG. 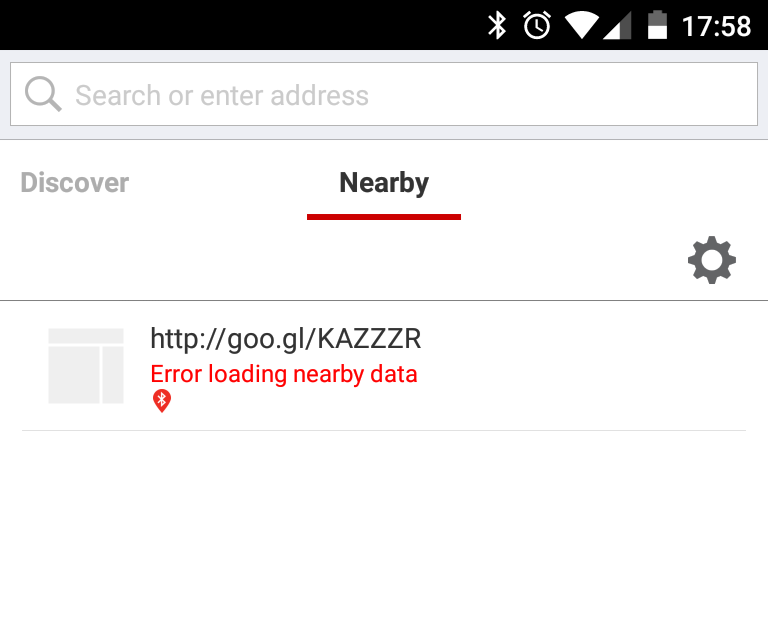 You might get this error if you misconfigure, use wrong URL or when a resolver is having issues. All the implementations are either using exact opposite of what I would expect as a priority list for extracting data (Schema.org > Open Graph > TITLE & META > best guess) or are somehow in-between. I think there is still some work needed before having proper guidelines for the web owners. 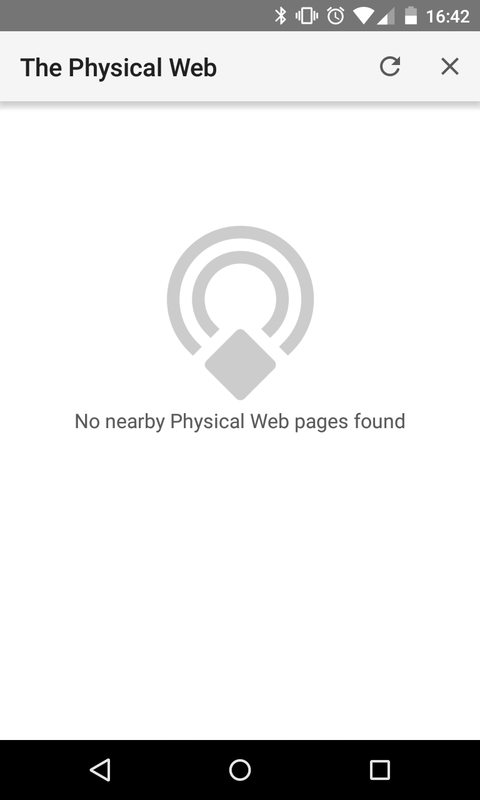 Even though the Physical Web support should be available starting with Chrome 49.x, it didn’t work. I tried Android Chrome version (49.x), Chrome Beta (50.x) and Chrome Dev (51.x). I have enabled the hidden flag through chrome://flags and then another one in Settings>>Privacy. With the latter two (Chrome Beta & Chrome Dev) I was at least able to get to a screen where the beacons should be visible, but no beacon appeared there. 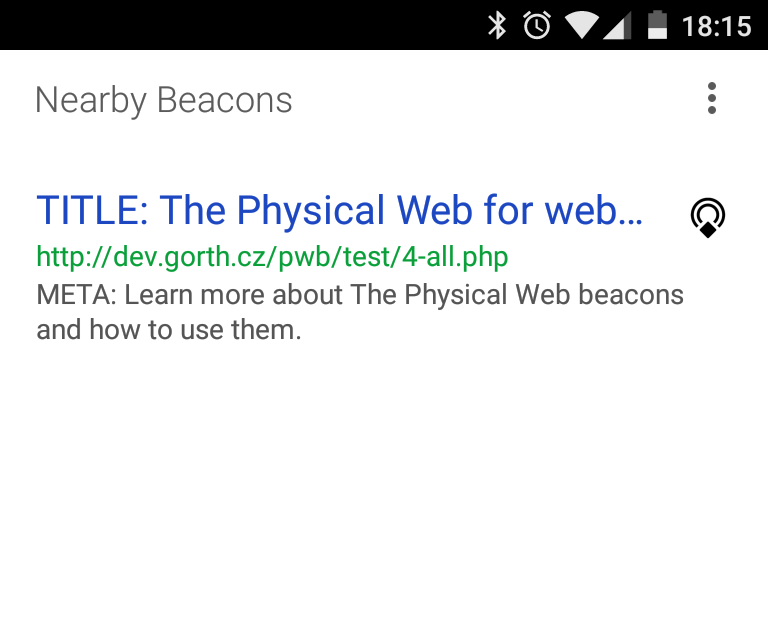 To verify that there is no issue with the beacon itself, I asked a colleague to give it a try with Chrome on iPhone. As you can see on the screenshot below there were no issues on iOS. Due to a caching layer and not forwarding the accept-language header, it is not possible to support multiple language versions and thus use locale targeting. Personally I think this would be a very good addition. There is nothing like target your customers using their native language. It is said that the caching layer is to preserve user anonymity. That might be true but it has its caveats. Instead of letting a website owner know about his or her proportion of visits, the whole traffic, for all the websites, is collected only by the resolvers. There seem to be no session/device/cookie information sent along with the requests, though Chrome requires you to turn Location on for some reason and, at the time of writing this article, I couldn’t get any traffic sample coming from the Chrome resolver. On top of that Google has a control to remotely enable/disable beacon support on individual phones or so it seems. 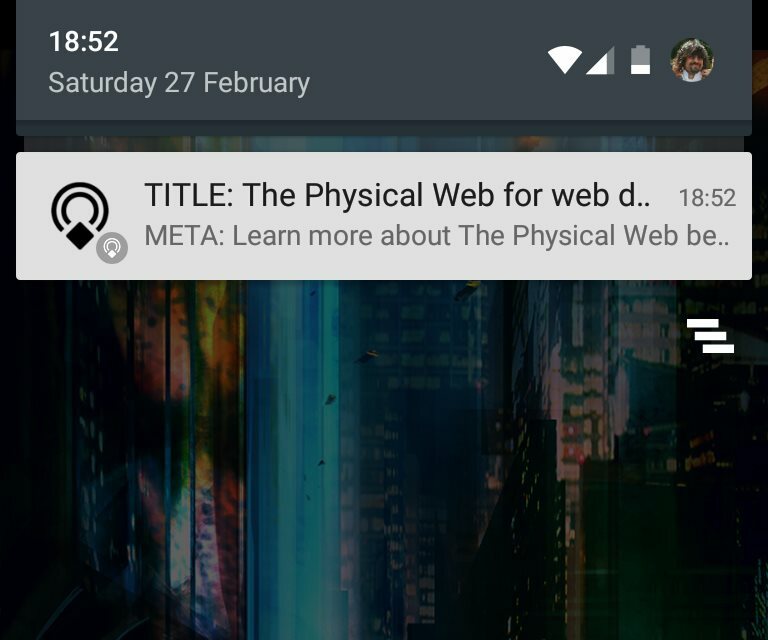 Even though the whole idea around the Physical Web is to see physical objects around you, it stands and falls on remote service(s). If the resolver (e.g. Opera URL-Caster) or URL shortener (e.g. 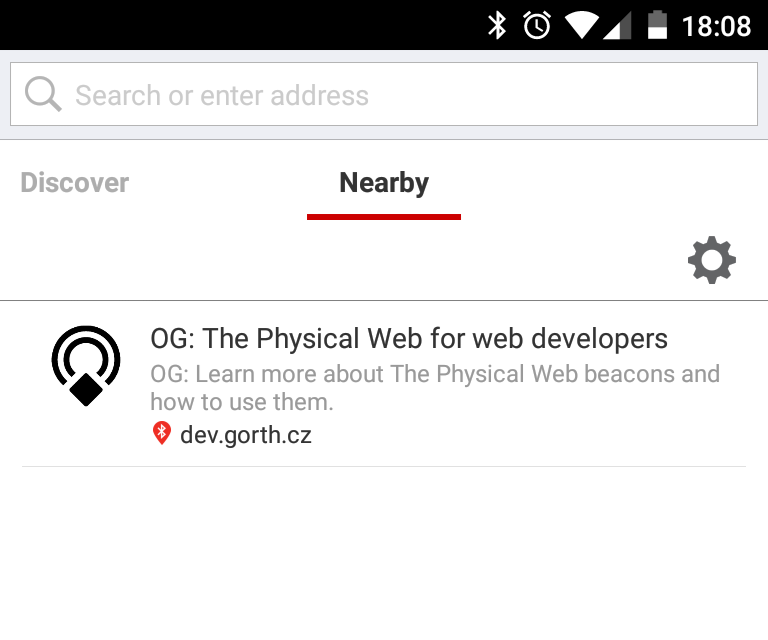 goo.gl) or internet connection is down, the beacons are not usable. These are two dependencies (and potential bottlenecks) on third-party services, which goes against internet decentralization core. Due to the public resolver it is not possible to use beacons within a private network. This could be solvable by adding manifest file support in combination with mDNS and uPnP protocols (which are already integrated). One of the main reasons, to my understanding, to use resolver service is to save on traffic data – because to crawl a site directly can be quite expensive and slow. 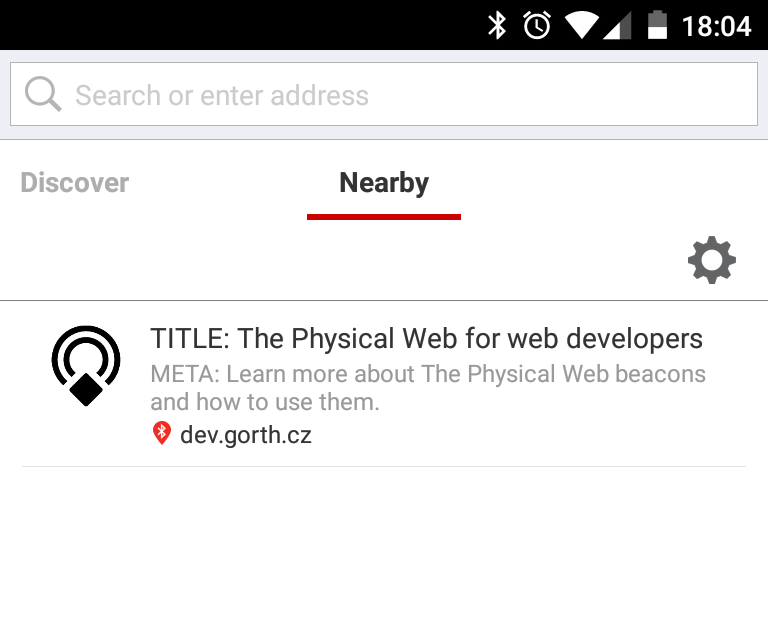 With the manifest file support this should not be an issue, and the whole physical web beacon network would be perfectly scalable. For the same reasons mentioned above it is not possible to measure the performance of your beacons, like beacon visibility, traffic and devices at given nodes, click-through rates, and any other traffic and impression data that might be useful to you as a publisher or service provider. This is all visible only to Google, Opera or any other player who will be successful in leveraging the beacons through the apps. 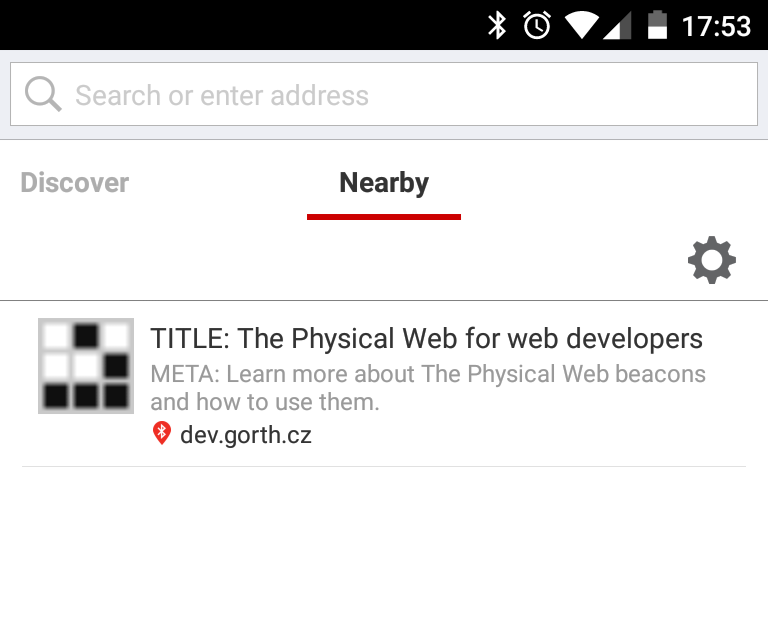 Without accessible data, it might be difficult for some companies to justify this whole physical web beacons idea, as it is a black box for everyone else at the moment. 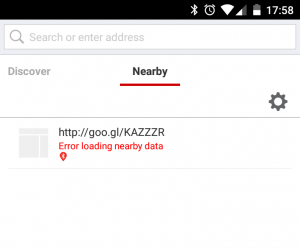 Interestingly, if client implementations accessed a manifest file directly from your site you would get some level of traffic information, so the proxy approach that Google and Opera are following is effectively preventing sites from seeing this traffic. Favicons, Touch Icons, Tile Icons, etc.